Dr. Bogin graduated from the NYU College of Dentistry in 1967. Prior to studying at NYU, he attended Long Island University. From 1967 – 1969, Dr. Bogin was enlisted in the United States Air Force. After his service in the Air Force, he worked as an associate for 2 years in a dental practice. 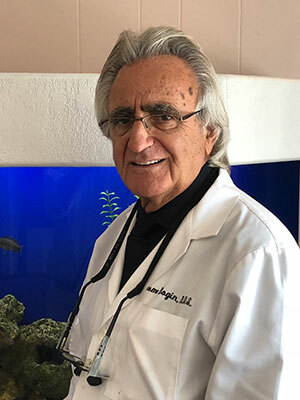 From there Dr. Bogin became a partner in his current practice and has been in his current practice in Syosset for 43 years. For the last 12 years, he has been an Assistant Clinical Professor at the NYU College of Dentistry. He was recently given a teaching award for his work at NYU. Dr. Bogin is constantly furthering his dental education. He keeps up to date on new procedures, techniques, and technologies with a number of Continuing Educational classes. He is a member of the American Dental Association (ADA), and the Long Island Study Club. Dr. Bogin is a very progressive dentist and utilizes many of the advanced technologies that dentistry has to offer. In his free time, Dr. Bogin enjoys working out, playing golf, and yoga.